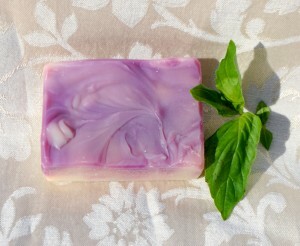 For Goodness Soap | 100% Natural, Handmade Soap, Bath and Spa Products. Made with love in Front Royal, VA! 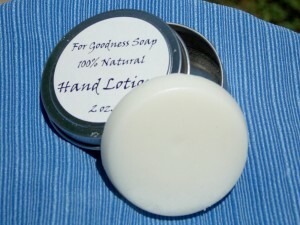 Welcome to For Goodness Soap! Welcome! I’m Maggie, your bubbly hostess. 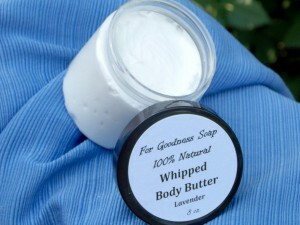 For Goodness Soap is a natural soap company Take a look at the Shop tab to see all the goodies. I’m also proud to have a blog where I post recipes for household products you can make yourself. Everything from window spray and floor cleaner to homemade mineral makeup and tooth powder. There’s always more for me to learn, develop and share. A bunch of years ago I was looking for ways to save money because, well, I didn’t have any. So I began formulating recipes for my own cleaning products. The one thing I couldn’t make was the castile soap I needed for my laundry detergent. “How hard could it be?” I asked myself. 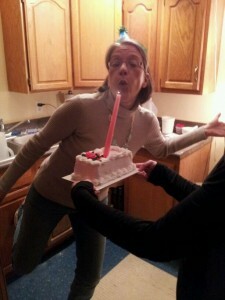 Trying my hand at soap was daunting, but fun. I loved the science-y aspect of it…I got to be a big ol’ nerd and make prettiness at the same time. Score! 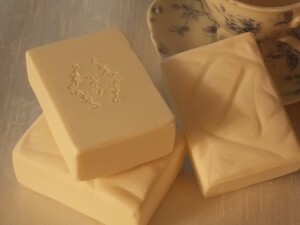 Once I got the hang of castile, I started playing with my own soap recipes…changing the levels of the various oils based on what they do for the finished product (lather, moisturizing, cleansing, conditioning, firmness, etc.). It got big very quickly, with a new idea always around the corner, and it’s still that way today. 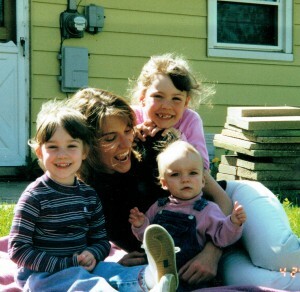 In closing, here is a picture of me and my kiddos and a pile of concrete patio parts, as a shameless attempt to use the cuteness of my offspring to make you say “Awwww” and smile and like my website. Aren’t they sweet?